The state Senate on Thursday backed away from a proposal to establish a facility where people could inject illicit drugs under supervision, instead voting to form a commission to study the issue. The vote on “supervised injection sites” — intended to prevent overdoses by providing users with safe places to take drugs — came after US Attorney Andrew E. Lelling warned that such a facility would violate federal law and made it clear he would not look the other way. Governor Charlie Baker also had strong objections. But Senator William N. Brownsberger, the Belmont Democrat who sponsored the amendment that created a commission to study the issue, said the change was proposed before either Baker or Lelling had weighed in. The decision came as the full Senate began hashing out its version of Baker’s legislation to address the opioid crisis, a process that was still underway Thursday evening. On the Senate floor, Brownsberger said he remained “deeply enthusiastic” about supervised injection sites but wanted to approach the concept more slowly. “I think the process we’ve got shaped up here will engage some of the key municipal leaders and key members of the administration in a way that we can hopefully develop an approach that really has some buy-in,” he said in an interview afterward. But Jim Stewart, a founder of the advocacy group Safe Injection for Massachusetts Now, expressed disappointment and blamed “a blustering Trump appointee,” referring to Lelling. “I hope all members of the Commonwealth will have the courage to stand up to that kind of bullying and say we know what is right for our fellow citizens who happen to be afflicted with a substance use disorder,” Stewart said. Lelling issued his warning in a statement to the news media Thursday, moments before the Senate took up the legislation. Supervised injection facilities, known as a form of “harm reduction,” are intended to prevent deaths from overdoses and improve health by enabling people with addictions to inject drugs in a clean, safe environment where professionals are on hand to revive anyone who overdoses. Clients obtain their illicit drugs elsewhere and bring them to the facility. They also have an opportunity to receive medical care, clean needles, counseling, and referrals to treatment programs. Nearly 100 such facilities operate in 66 cities outside the United States, and studies have found that they reduce deaths without increasing drug use or crime in their neighborhoods. In recent years, officials in Seattle, Philadelphia, Baltimore, San Francisco, and New York have announced plans to establish supervised injection sites, but have not yet succeeded in doing so. The first government-sanctioned injection facility in North America opened in Vancouver, British Columbia, in 2003. Baker’s objections focused on a recent spike in overdose deaths in the Canadian province. Baker pointed to data showing that the rate of overdose deaths in Vancouver has risen and is now double that of Massachusetts. 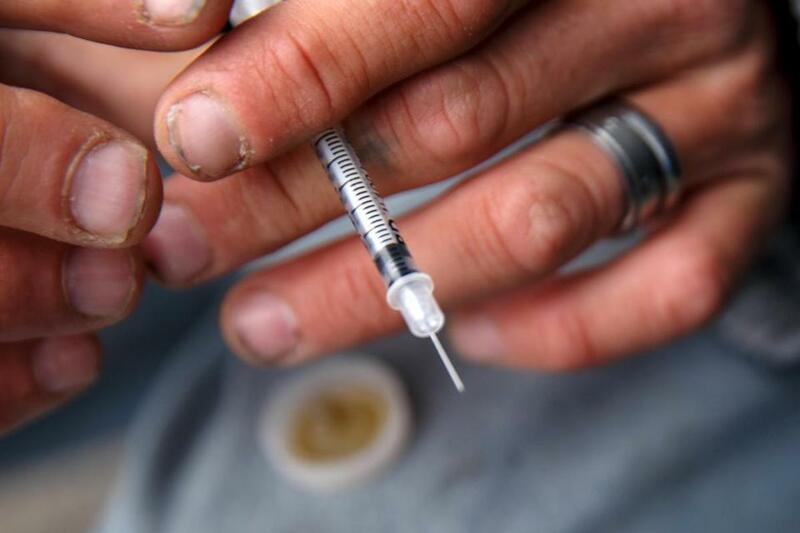 But the sharp increase in overdoses in British Columbia started in 2014, while Vancouver’s injection facility, called Insite , has been operating for 15 years. In the two years after Insite opened, there was a 35 percent reduction in overdose deaths in the immediate vicinity of the facility. The recent increase in deaths results from the influx of the powerful synthetic fentanyl into the illicit drug supply, said Brandon Marshall, an epidemiology professor at the Brown University School of Public Health. Also, the mortality figures reflect trends in the entire province, while Insite primarily serves people who live within five blocks, seeing about 700 clients a day, said Marshall, who earned his doctorate at the University of British Columbia and has studied Insite. Far from blaming Insite for the spike in overdose deaths, health officials in British Columbia have opened eight more such facilities in Vancouver and surrounding areas, most in the past year in response to the fentanyl problem, Marshall said. “So many people are dying while political leaders undermine science and the opinions of pretty much all the experts who fully support harm reduction,” he said.